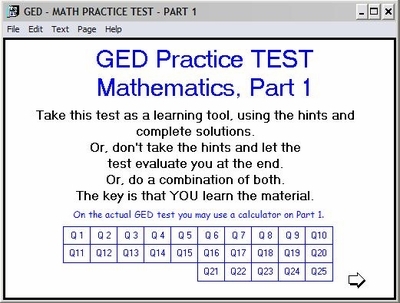 As in the GED 2002 test, MathMedia separates both of the GED math practice test into GED math practice test Part 1 and GED math practice test Part 2. When you purchase the MathMedia GED 2002 practice math test, you receive both parts - with navigation features, practice, solution strategies, scoring, and evaluation. 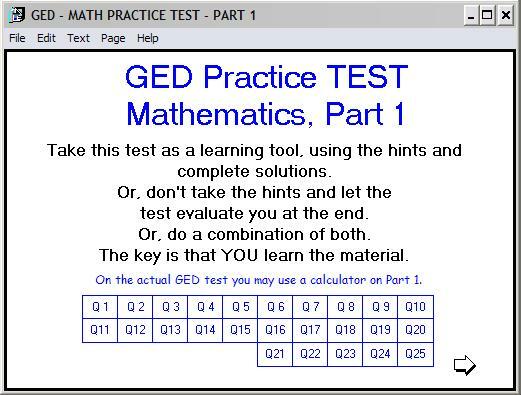 To purchase the MathMedia GED math practice test, click on the GED tab on the menu bar to the left of your screen.